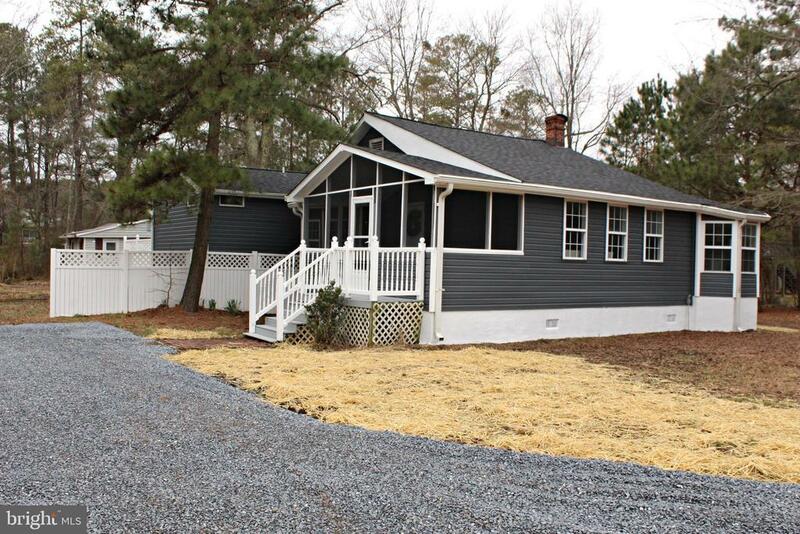 AMAZING RENOVATION only 2 blocks from the Chesapeake Bay in highly desired Cove Point Beach! New kitchen with quartz counter tops, new cabinets and stainless steel appliances! New bathrooms with tile tub/shower surround! New luxury vinyl plank flooring! New roof and new siding! 4th bedroom would also be perfect for an office/den! Huge master suite with vaulted ceiling! New septic tank will be installed prior to closing. This property is a definite MUST SEE! Directions: Cove Point Rd. Left on Beach Dr. Property on the left.